Our teachers’ liability insurance scheme has been specially developed to protect the increasing numbers of teachers and lecturers who are self employed or provide private tuition, lecturing or coaching outside of their main employment. Liability cover is also available for most types of educational consultants and advisory roles, including those operating limited companies. For head teachers and senior staff who are members of the Association of School and College Leaders (ASCL), our liability insurance cover has been widened to take in not just private tuition and lecturing but also educational consultancy and advisory roles including up to 20 days a year working for OFSTED. Alan Boswell Group are the preferred insurance suppliers for the ASCL. Our specialist teacher’s liability policy brings together the required covers in one simple package and is so competitively priced that there’s now no need to leave yourself without cover. The process was really easy, but the really pleasing aspect was the communication by telephone prior to purchasing. Many teachers undertake private work (effectively in a self-employed capacity) without realising that this leaves them open to claims that could be made against arising from errors and omissions, professional negligence or other liability. When you are working for the Local Authority or another employer, it is usual for the employer’s own liability insurance policies to provide you with appropriate protection. But when you work outside the course of your normal employment then you are potentially exposed to liability claims which might be brought against you personally by pupils, parents or third parties. The application process is quick and simple Everything is done online. Costs are kept to a minimum We issue all the paperwork on the Insurer's behalf. Specially negotiated for teachers The scheme has been negotiated specially for teachers, lecturers and educational consultants and features very broad cover so individual underwriting is unnecessary. The policy is specifically designed for ASCL members and covers educational consultancy and advice plus the teaching of all academic subjects, sports coaching, music, drama, technology, cookery and practical science activities. Excess No excess applies to the first claims you make in any year. Subsequent claims in the same year are subject to a £250 excess if made under the Public Liability section and £500 if made under the Professional Indemnity section. * With option to increase to £2 Million or £5 Million for an increased premium. Am I covered for freelance work involving marking exam scripts or coursework or working as a freelance examiner or moderator? Yes: freelance marking, examining and moderating work is covered as standard by the policy. Can I upgrade my cover or make changes to my policy? No excess applies to the first claim you make in any year. Subsequent claims in the same year are subject to a £250 excess if made under the Public Liability section and £500 if made under the Professional Indemnity section. Will I be covered for work carried out abroad? No: the policy only covers you for activities carried out in England, Wales, Scotland, Northern Ireland, the Isle of Man and the Channel Islands. Will I be covered for work carried out for OFSTED? Yes: The policy automatically includes cover for work you carry out for OFSTED for up to a maximum of 20 days per year and provided your annual income from all your private teaching, lecturing, coaching and educational consultancy and advisory activities amounts to less than £75,000. When it comes to private tuition, parents and students may seek to apportion blame for a failure to reach a desired outcome. To some people, blame equals compensation. Nowadays, rather than accepting any personal responsibility, people are encouraged to search for someone else to blame for their misfortunes. Click here to see some examples of the kinds of Professional Indemnity claim that could arise. We have a dedicated claims support team of experienced personnel, mainly from insurance company backgrounds. Our people are there to help and support you and to manage your insurance claim for you through any crisis on a day-to-day basis. Contact us by phone on 01603 218099 or by using our claims enquiry form so that we can help you. 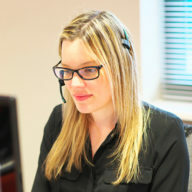 In an emergency that occurs outside normal office hours you can call the 24-hour line direct with Hiscox on 0870 241 6257.